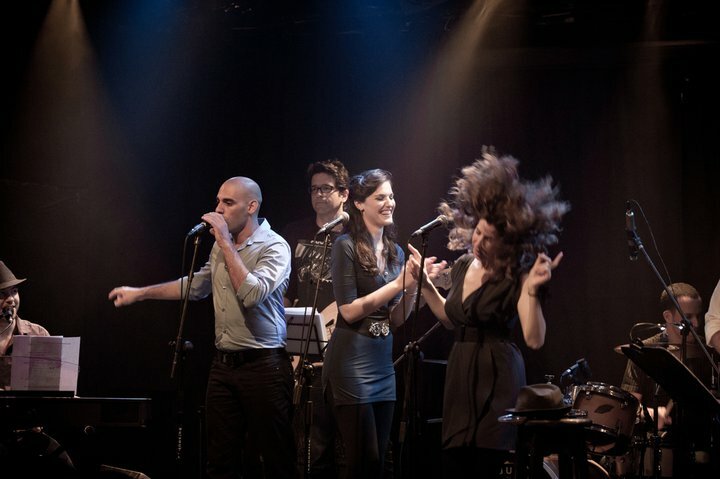 Noa is a jazz-rock fusion vocalist originally from Israel, currently based in the San Francisco Bay Area. With the emotional directness of Carmen McCrae, a powerful voice reminiscent of Eva Cassidy and the playful energy of Anita O’Day, Noa sings with an emotional lyricism and magnetic stage presence across genres – Jazz, Rock, Cabaret, and Pop. Recently she released her debut TAKE TWO EP, a thoughtful collection of Jazz arrangements in a duo format with three different instrumentalists (drums, bass & vibraphone). Drawing on influences from her favorite musicians and artists including Peter Gabriel, Brad Mehldau, Lester Young and Carmen McRae, NOA LEVY has developed her own signature arrangements of classic and unique tunes to paint a picture that anyone listening can relate to. Her favorite thing about jazz is the possibility to collaborate with fellow musicians about universal themes and day to day life, as she’s doing with her band, THE EXPERTS. Clairdee and the prolific Brazilian jazz singer and composer Sandy Cressman. She was also invited to collaborate on the Jazz Voices of Poetry project which debuted new material early in 2018. NOA LEVY appeared at SFJAZZ as a guest vocalist for a Camp Fire benefit concert with the BERLIN JAZZ TRIO. Her passion for performance was apparent at just four years old when her grandparents found her dancing on stage at a large music festival. While listening to Queen’s Greatest Hits on a cassette tape given by her father, she discovered her singing voice at age 12 – she was blown away by the amazing musicality and vocal talents of Freddie Mercury and she’s been singing ever since. In middle school, she joined a renowned local theater group and starred in lead roles as the group toured Israel. At 18, for her mandatory military service, NOA LEVY auditioned for and was inducted into the IDF’s prestigious Navy Ensemble where she performed throughout Israel and also toured across the United States. Following her IDF service, she pursued her passion and developed her talent for musical theater at the London School of Musical Theatre in London, England, earning a diploma. Afterwards, she concentrated on music studies at Rimon School of Music in Israel. Noa currently lives in San Francisco, CA.